That the contract may be terminated at will by either party is a point that comes in at number four. 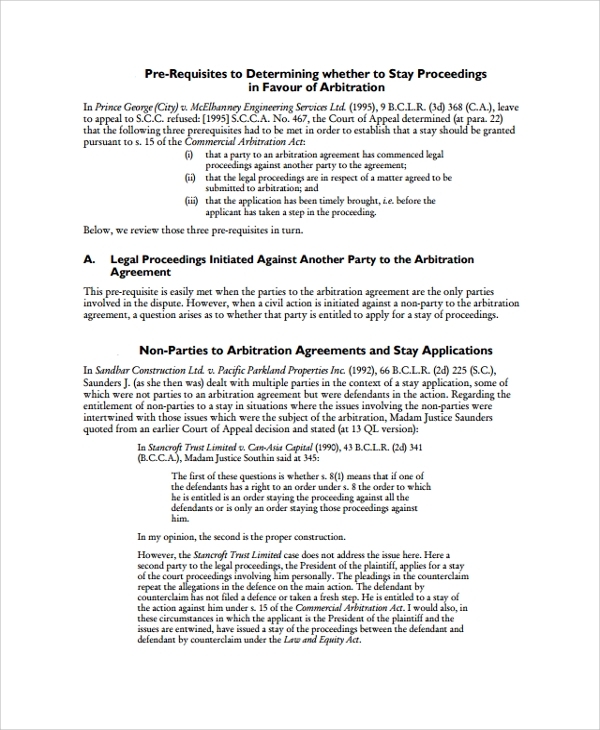 Number five is the keyword ‘arbitration of disputes required’. The two parties must agree that they will solve their differences through arbitration. Then the two parties sign at the end. 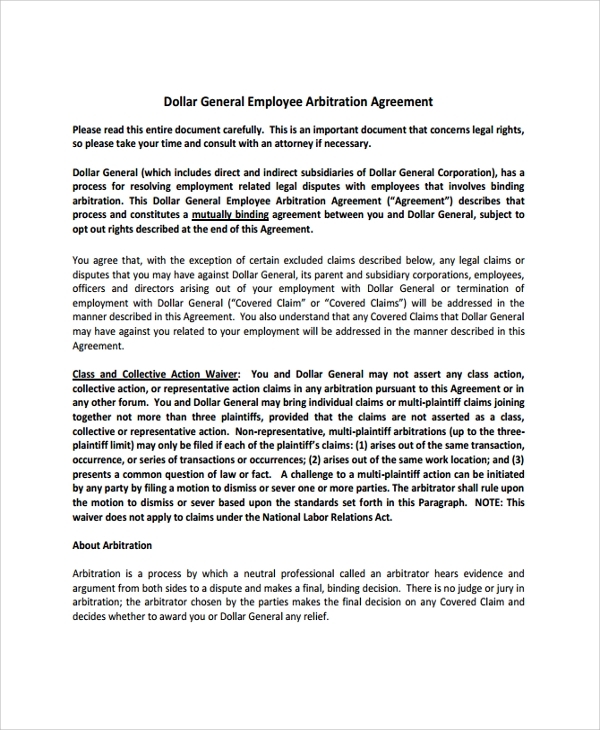 This an agreement that the employer and employee enter before starting to work together though its not given a lot of weight in employment letter. 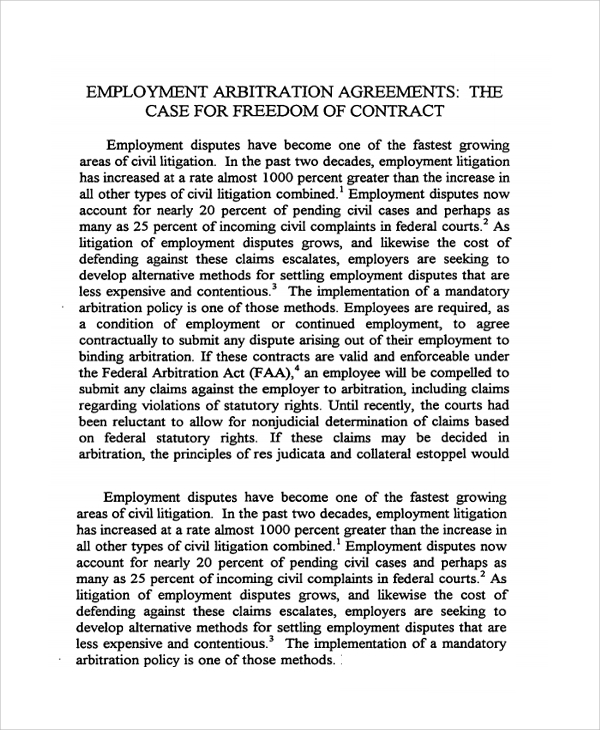 Employers resolve to use arbitration when they want to preserve the image of the company and consider litigation as a very long process if the dispute is a minor one. This, however, must be done under an arbitration society. 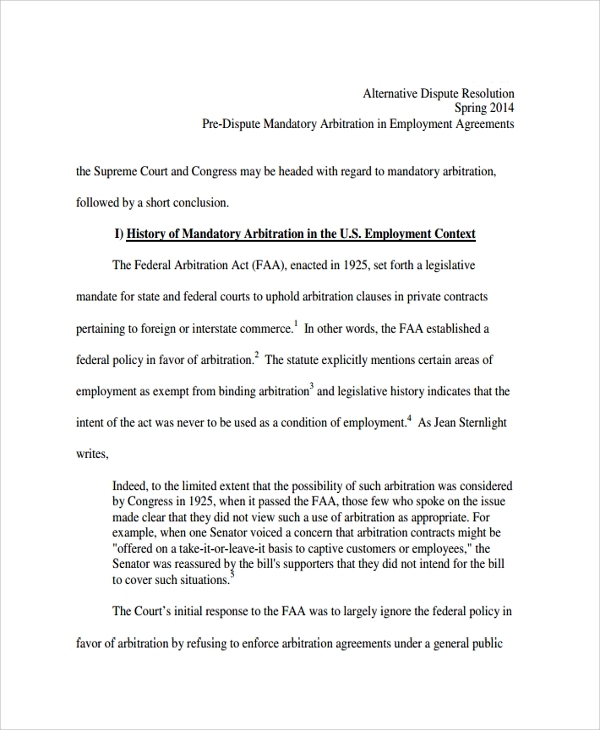 Mandatory employment arbitration agreement is a legal agreement that every employee is required to sign together with the employer. 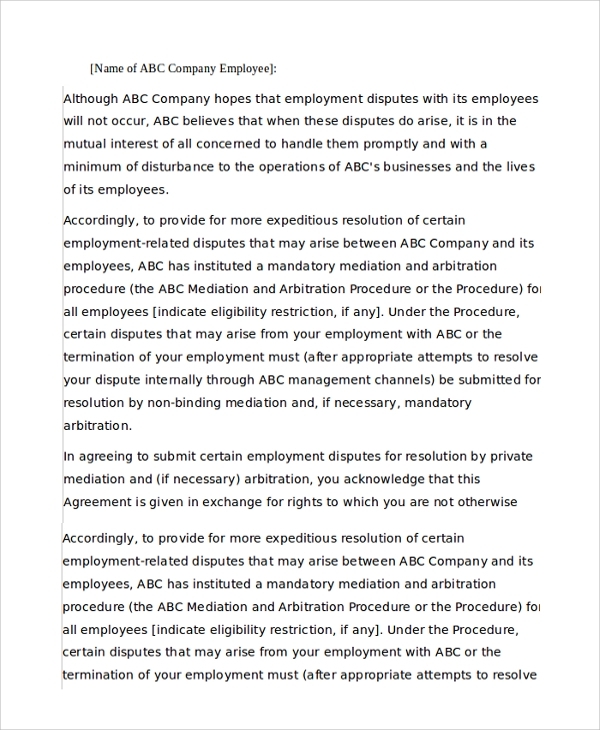 The employer is also required to avoid going to the courts and instead, solve their disputes using the arbitration process. It has to be fully operated under the laws of the land and employer has to pay a given amount for the process. 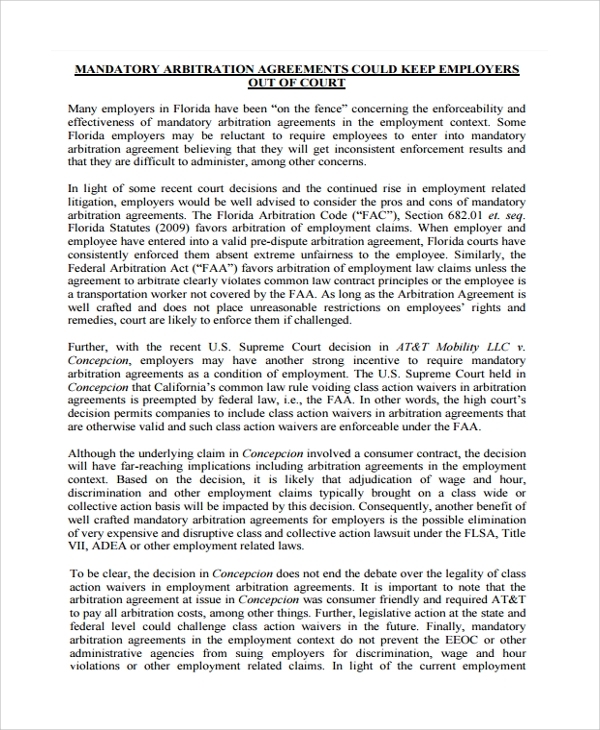 This arbitration is not open to handle and resolve disputes of any nature; it can handle only those disputes which the law allows it to do. This is a well-detailed document with many clauses that are quoted from the constitution. The employee and employer are required to thoroughly read the document and understand it. They can even request up to 30 days to read and consult an attorney if needed. Several rules and procedures need to be followed when practicing it. Though it is not considered a litigation path, it has a lot that makes it almost the same as taking the long litigation path. 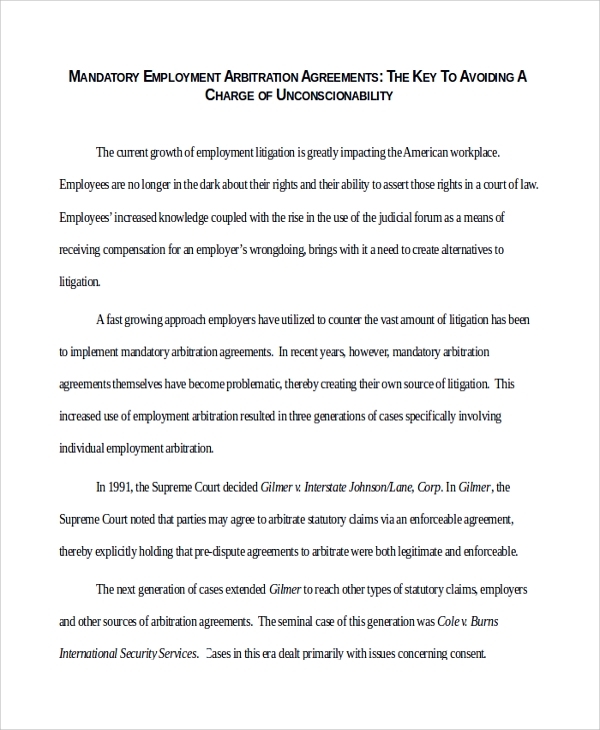 What are the Benefits of Arbitration Agreement? What should I know Before Taking the Path to Arbitration? You should work under an arbitration society that is legalized by the law. 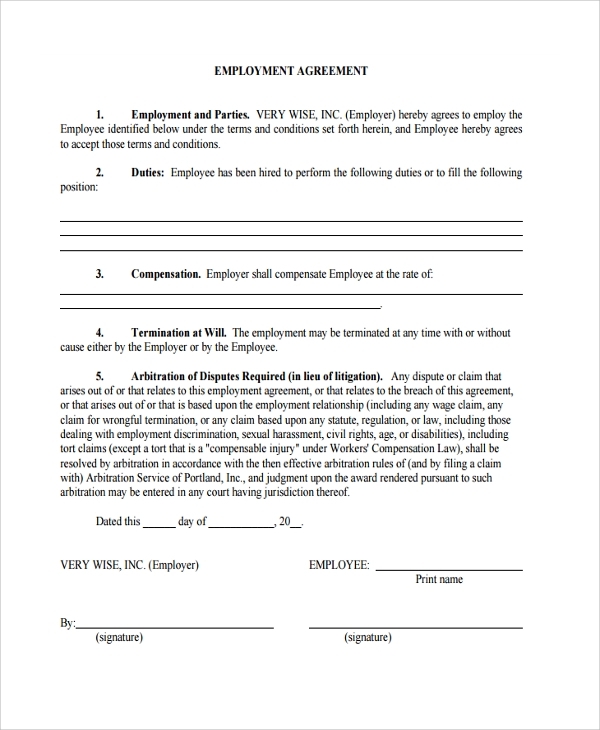 All the Employment Agreements should be in written form and signed by the relevant parties. Arbitration is very useful for all minor disputes that can be solved without going to the court. It is very fast and effective when the right procedure is followed. 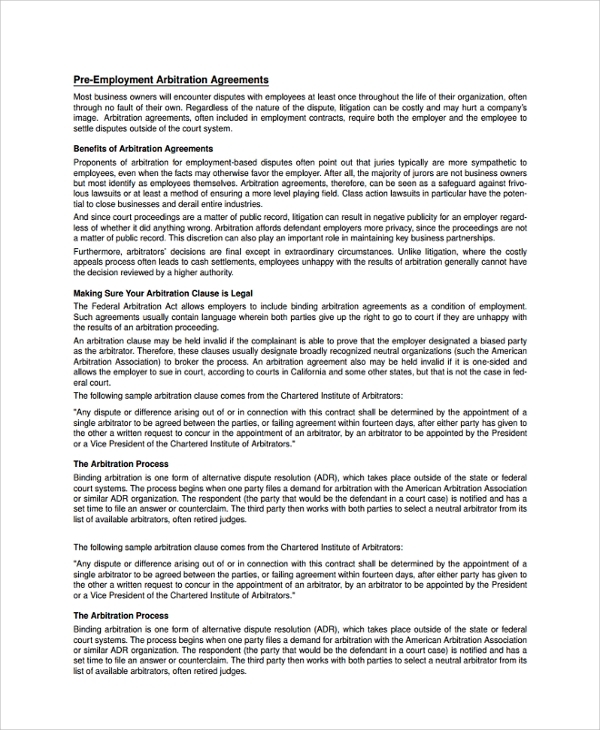 We have a sample of all these arbitration and you can contact us or get them from our websites, go the arbitration way and save time and money.